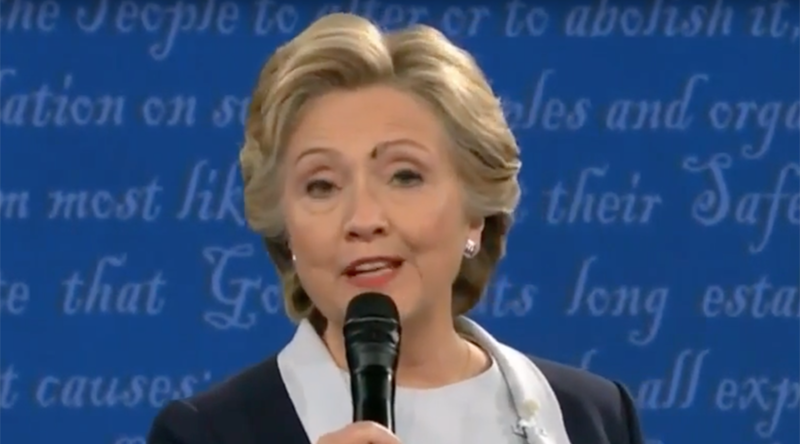 Hillary Clinton’s eyebrow doubled as a landing strip as a fly clung to her face during the latest presidential debate. The candidate didn’t attempt to squat it away, prompting speculation from sci-fi fans she may be more droid than Democrat. The unidentified fly has been bragging about its newfound stardom on the Twitter account ‘Flies for Hillary’, tweeting “Showing my support for Hillary! I can't believe I'm on TV!” It is unknown why the fly did not land on Donald Trump’s face. Unfortunately, the housefly is unlikely to be able to vote in the upcoming election given its life span is less than a month. Several accounts are claiming to be the fly, meaning we’ll probably never know the true identify of this American hero. Fans of HBO’s new TV show Westworld have speculated that the fly is proof Clinton is in fact a machine, recalling a moment in the show when a robot was unfazed by a fly walking across its eye. If Clinton’s bid for the White House fails, HBO might be asking her to audition for season two of the popular show. The fly’s choice in candidate has led some to point out what flies are usually drawn to. Others hoped the fly would land on Trump’s face, prompting the Republican to smack himself.